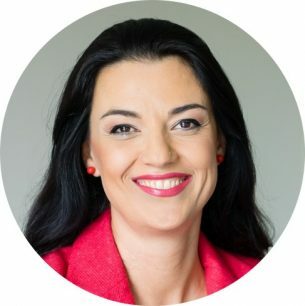 Irena Joteva is Managing Director of HILL International Bulgaria, part of the Austrian consulting group HILL International GmbH. Irena joined the company in January 2002, as a Psychologist. Two years later she became Head of Applied Psychology; in 2004 was appointed as Executive Director and five years after she stepped further as a Managing Partner. Irena has 20 years of overall HR experience and 17 years of experience in HR Management Consulting. Previously she worked as a Human Resources specialist at a manufacturing company. She has a Master degree in Psychology from Sofia University St. Kliment Ohridski and MBA in General Management from City University, Seattle, Washington. Certified Coach, Erickson College International, ICF ACTP (Accredited Coach Training Program). Since 2006 she is a Tutor at the Sofia University – Master Program Labor markets and HR development. She is a member of the Council of Women in the Business in Bulgaria.